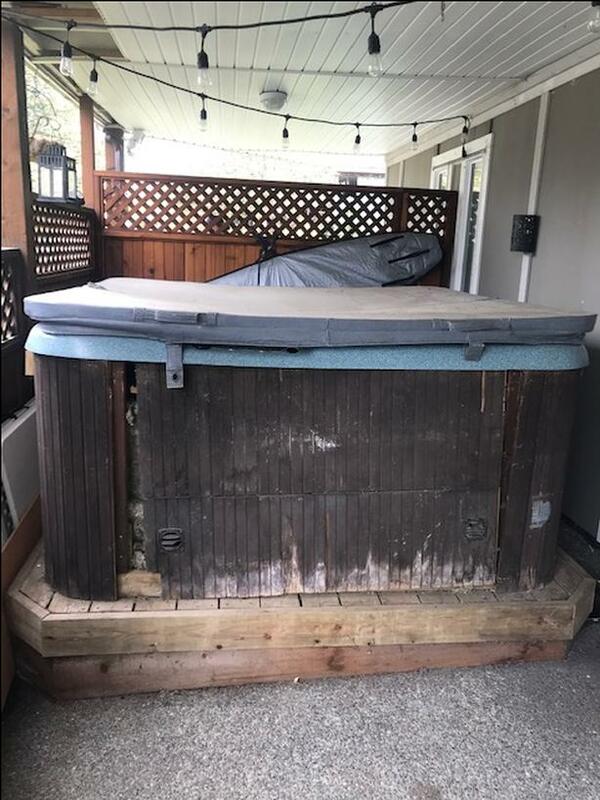 Older style 6 person hot tub. Working pump and heater. Jets all work. We are getting rid of it because we don't use it. We never got around to reskirting the frame, but with a little TLC it will look great! Comes with some chemicals and cover. Cover will need replacing soon, but does the trick. Free for you!! Come and get it.